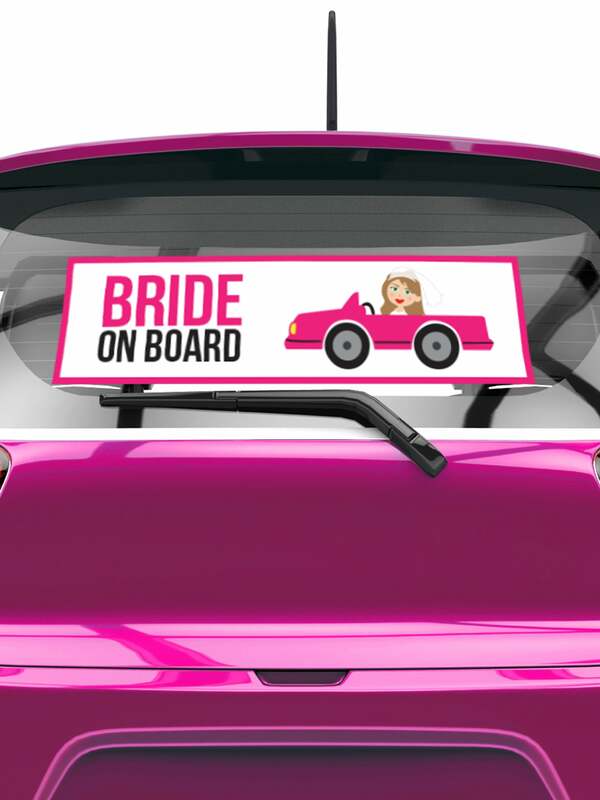 Make sure your bride to be has her identity publicised with this large hen party car window sticker! This fun sticker is bright and prominent and will cause a riot on the roads so beware whilst you're travelling! Everybody needs to know your mission so you can achieve your goal. To achieve that "memorable night" for your bride to be you're going to need some fabulous hen party accessories. This hen party car window sticker will really help you create a wonderful hen party. Great to use on your own car, limo, party bus or more.